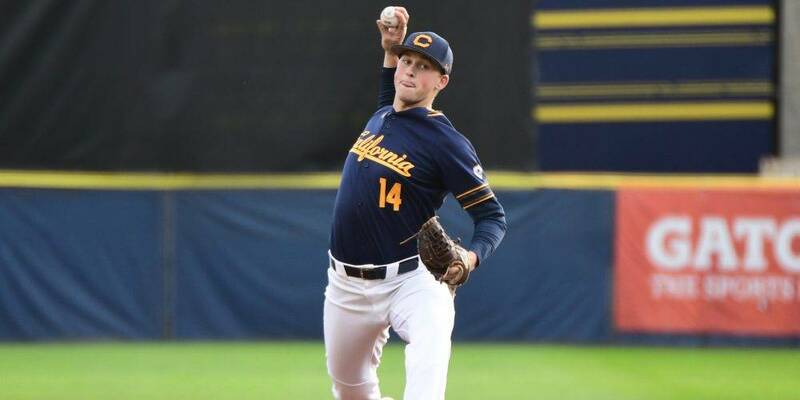 BERKELEY, Calif. — Jared Horn was expected to anchor California’s weekend rotation as a junior this spring, but as the Golden Bears traveled to Arizona for the season-opening Angels College Classic, the talented righthander didn’t feel right. Horn wound up having an appendectomy on the same day his Cal teammates opened the season with a 4-3 loss to CSU Bakersfield. The Bears went on to lose their first three games, and they were without their projected ace for the first four weekends while Horn built his strength back up following his surgery. He returned with two innings in a May 12 midweek game against San Jose State, and Cal gradually built him up over the next few weeks. On Saturday, Cal finally was able to unleash Horn for a full workload, and he made the most of the opportunity. Horn turned in the best start by a Golden Bear pitcher this season, working eight innings of one-run ball in a series-clinching 6-1 win over Washington State. After allowing a home run to Dillon Plew to lead off the game, Horn blanked the Cougars for the next eight innings, scattering six hits and walking just one. “I think I’m 100 percent back now,” Horn said. “It was a slow process just getting core strength and cardio back up, but I got back on the mound after a month, and [head coach] Mike Neu and [pitching coach] Matt Flemer were just working with me to get my pitch count back up, and now I’m 100 percent, ready to go.